4 ft. wide, 5 ft. long. Load capacity 800 lbs. 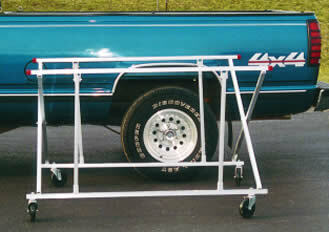 5" swivel casters for easy movement over rough floors. Folds up for convenient storage.